The White House press secretary scolded her staff Friday for the leak. 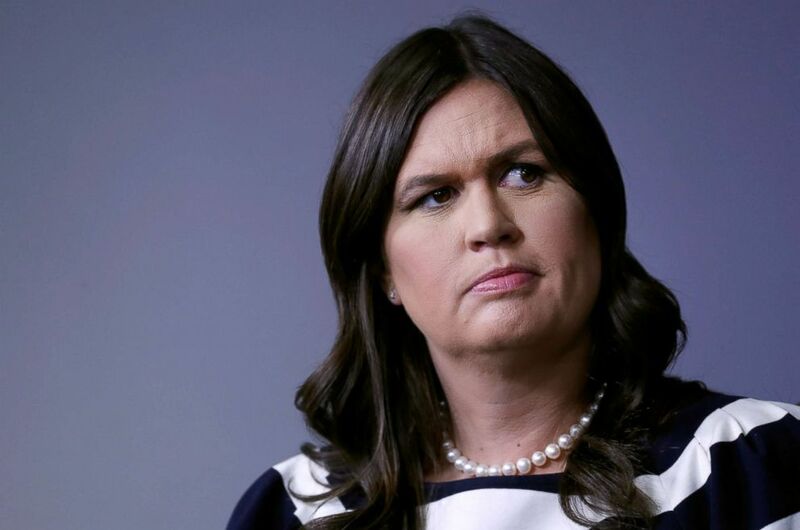 Press secretary Sarah Sanders scolded her staff Friday for the derogatory comment about Sen. John McCain leaked from a closed-door meeting, according to multiple senior White House officials. Sanders called the comment "unacceptable," but was said to be more upset about the leak than the off-handed comment from White House staffer Kelly Sadler that McCain's opposition to their CIA director nominee Gina Haspel "doesn't matter, because he's dying anyway." (Leah Millis/Reuters) White House press secretary Sarah Huckabee Sanders listens to Health and Human Services Secretary Alex Azar answer questions from the news media during the daily briefing at the White House in Washington, D.C., May 11, 2018. Sadler was at the meeting standing on the other side of the room and did not apologize for the comment, according to people in the room. But Sanders was on the verge of tears, according to a White House official. "She was emotional because she was angry," said that White House official. Senior White House communications advisor Mercedes Schlapp interjected at one point, saying, "I stand with Kelly Sadler," according to staffers in the room, saying that she saw the leak as an attack on Sadler, according to two White House officials. Schlapp did not respond to a request for comment. A White House spokesperson declined to comment. (Heidi Gutman/ABC via Getty Images) Sen. John McCain on "The View," which aired Oct. 23, 2017 on ABC Television Network. White House officials say they believe the leak was personally motivated against Sadler, adding a sense of paranoia inside the West Wing. 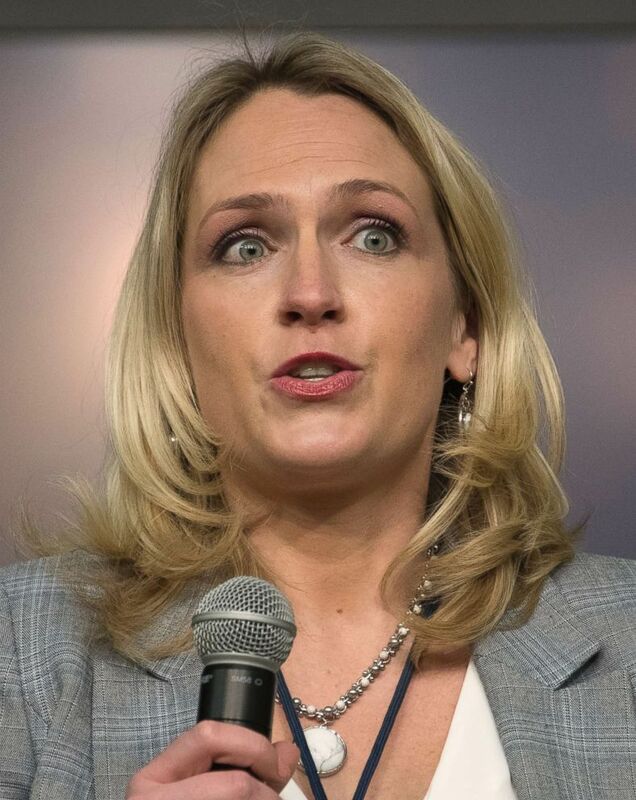 (Ron Sachs/picture-alliance/dpa via AP, FILE) Kelly Sadler, White House Director of Surrogates and Coalitions, moderates a panel on Economic Prosperity, Tax Reform, and Workforce Development at the Generation Next Summit at the White House in Washington, D.C., March 22, 2018. "It was obviously someone trying to hurt her," said one White House official. A senior White House official said they don't expect Sadler to be fired. After the comment was made public, Sadler called Meghan McCain to apologize. The next day, Meghan McCain said on The View that she was shocked Sadler was still employed by the White House. 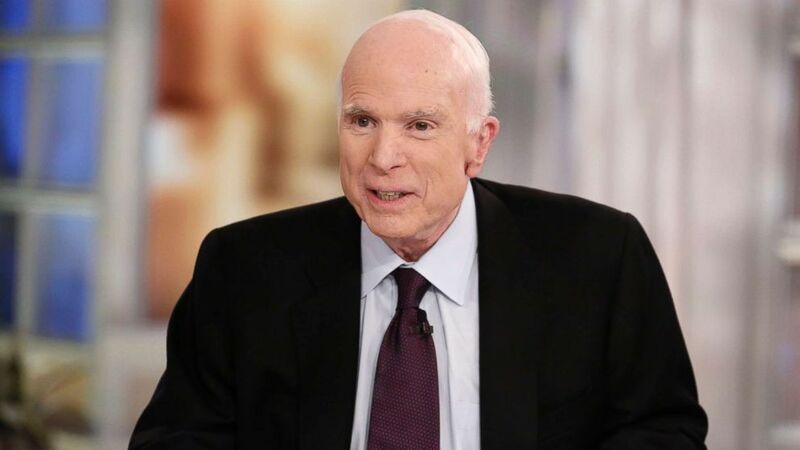 "I don’t understand what kind of environment you’re working in when that would be acceptable and you can come to work the next day and still have a job," McCain said. The White House is not expected to acknowledge or apologize for the comment, despite pressure from both Democrats and Republicans for a public apology. At a news conference Friday, Sanders declined to "comment on an internal staff meeting." She went on to clarify that Sadler still works at the White House. 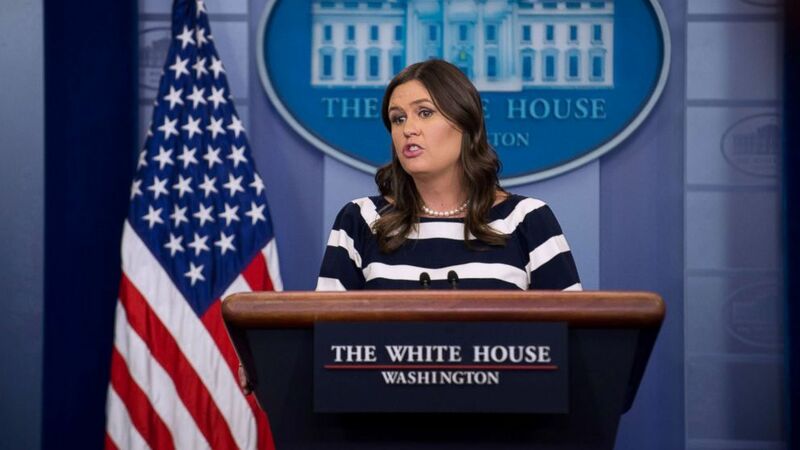 (Erin Scott/Polaris) White House press secretary Sarah Huckabee Sanders holds a press briefing, May 11, 2018, at the White House in Washington, D.C.
A senior White House official, too, said that for now, Sadler was still employed with the administration. "She had no ill intent. She said something she shouldn't have said and apologized to the family right away," said the same White House official. The original comment was made at a closed-door meeting attended by two dozen staffers on Thursday morning, one day after McCain released a statement calling on the Senate to oppose the nomination of Haspel. One staffer at the meeting described the off-handed remark as "jaw-dropping."